Standing inside the former Beechworth Asylum, Mayday Hills, our tour guide (who is dressed as a Victorian-era nurse) begins our search for ghosts by listing some of the reasons that people were sent here during the 128 years it was an operational facility. She suggests that had we lived during the late nineteenth century, any member of our group who had ever acted jealously, lazily, been politically active, griefstricken, or, ironically, shown signs of being superstitious, would have fitted the ambiguous criteria that had people locked behind these walls. This evocation of the past’s deeply limited un­­derstanding of mental illness is a crucial feature throughout this night tour – heightening the cold, eerie atmosphere of each dilapidated building with an underlying awareness of how simple it once was to fall into an immensely deficient, and often barbaric, system. On one level, this tour can be regarded as a form of recognition of the shameful mistakes of the past, and perhaps demonstrates a genuine effort to humanise the long-forgotten patients whose fates were tied to this institution. However, the very existence of this regularly run tour raises serious concerns about ‘dark tourism’ and the need to respectfully handle a historical site’s devastating past. No matter how tastefully it is done, can a ghost tour of a former asylum ever be an appropriate method of generating greater interest in local history? Does it cross a line, or could public curiosity in these tours be construed as an encouraging indication that people want to be aware of our history’s antiquated treatments and attitudes towards mental health? 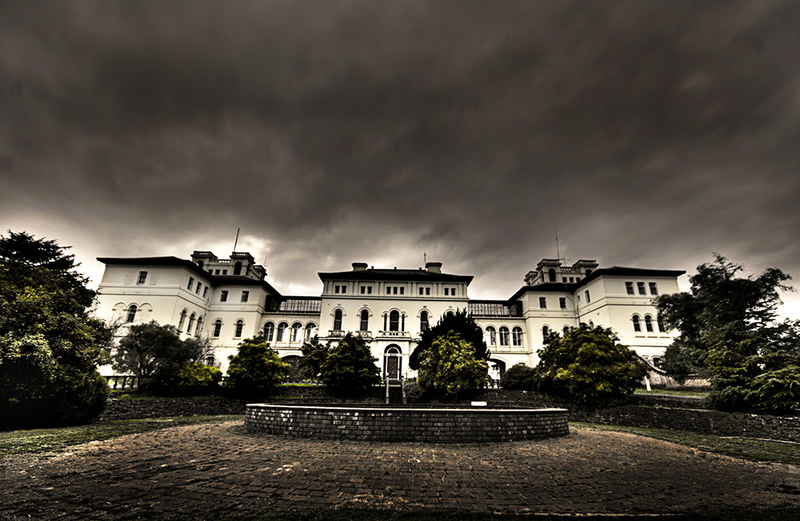 Within Victoria, there are three major ghost-tour programs of decommissioned psychiatric institutions, with each space also offering regular historical tours during the day. 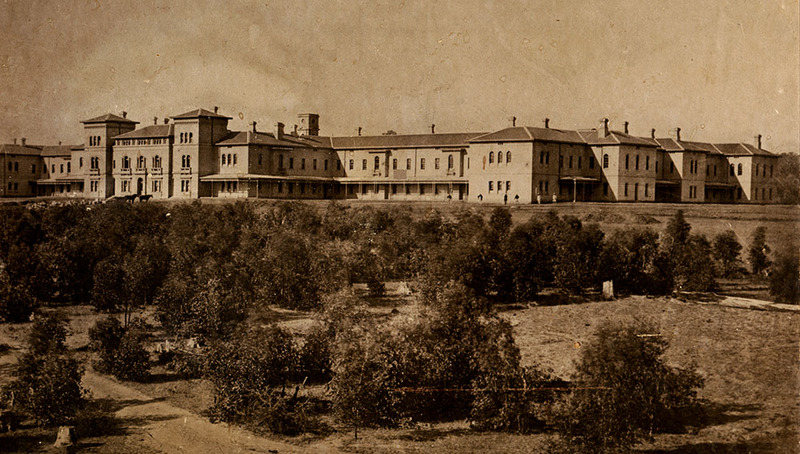 These are Mayday Hills (founded in 1867 and closed in 1995), as well as Ararat’s former asylums, Aradale Mental Hospital (1865–1998), and J Ward (1861–1991). As J Ward housed the ‘criminally insane’, it is a much smaller site and its ghost tour cannot stress the normalcy of its past inmates; however as Mayday Hills was a ‘sister asylum’ to Aradale, these two abandoned facilities – and by extension the ghost tours they run – naturally share significant parallels. One particularly important similarity is that, like Mayday Hills, the Aradale ghost tour is also able to interlace wider historical discussion throughout its tour on the mistreatment of mental illness, and by extension the use of lunatic asylums as instruments of social control. For instance, the ‘two signatures’ it took for someone to be committed and the ‘eight signatures’ that were needed to be discharged are powerful details that both tours repeatedly draw upon to emphasise the helpless situation former patients were faced with. Walking through the dark hallways of both Mayday Hills and Aradale, past the remnants of steel bed frames and wheelchairs, as each tour guide details the overcrowding, and the use of restraint bags, frontal lobotomies, shock treatment and solitary confinement, a reliance on recounting true neglect and cruelty to further incite fear on these tours is revealed. In both these desolate spaces, the stories of paranormal experiences are heavily attached to an underlying awareness that the trapped spirits, when living, had fractured existences that were defined by abuse and loneliness. This link between real, lived trauma and the supernatural realms reminds me of the general spiritualist beliefs surrounding hauntings: that they are negative disjunctures in a soul’s natural flow from life to death. As a metaphor, this idea that these long abandoned buildings bore witness to, and continue to echo a pain, that refuses to be silenced is poignant. However, what remains persistently problematic is that all ghost tour programs have an inherent link to horror, and are thus inviting something more akin to voyeuristic glances than sombre reflection. People are motivated to go specifically on the night tour, rather than the historical walks during the day, by a desire to feel frightened by the trauma of history – and by the chance of a paranormal experience. Both asylums host horror movie screenings and offer other paranormal tours for ‘ghost hunting investigations’, thus further exploiting this desire. Internationally, similar ghost tour programs within Britain have received heavy criticism from mental health organisations, and the objections raised are applicable to Aradale and Mayday Hills. In 2015, for instance, charities supporting a petition to end a paranormal tour of Liverpool’s former Newsham Park Hospital lambasted the event for capitalising on the pain of others, and for propagating the harmful stereotype that people suffering from mental illness are to be feared. Generally these tours concentrate on the history and incidences of appalling treatments and attitudes, but the paranormal angle is nonetheless playing with the horror genre – a genre inundated with cruel and adverse representations of mental illness and asylums. Such treatment is blatantly noticeable in the Aradale episode of the sci-fi channel’s ghost hunting reality series Haunting Australia (2015), which includes numerous cut-away clips of a clichéd ghoulish ‘mad-woman’ for jump scares. Another consideration, which is less obvious yet still symbolically significant, is that the broad history of asylum treatment includes a notorious period where London’s Bentham Royal Hospital or ‘Bedlam’ hosted peepshows of ‘London’s low lifes’. This may sound unrelated to the Australian context, yet any ghost tour with a specific focus on asylum patients runs the risk of creating a similar spectacle – after all, these tours suggest the patients remain there in spirit. As the Mayday Hill ghost tour concludes in the cellar, and the flashlight is momentarily turned off, I examine my own motivations for wanting to experience the vast site at night. Originally I had chalked my curiosity up to general interest in how cold the gothic building became at night, but perhaps for me there was also an element of voyeurism. Both the Aradale and Mayday Hills ghost tours offer unique insights into an important, frequently overlooked part of Australian history. Given the frightening historical reality of these sites, one wonders whether the paranormal component is even necessary for evoking feelings of unease. 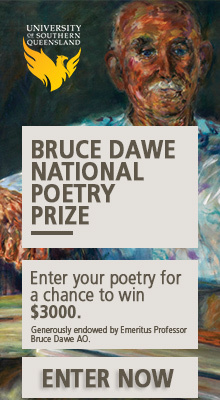 Ellen Muller is a Melbourne-based publishing student in her final year at the University of Melbourne. She keeps a a satirical literature blog called Poe’s very attractive cousin, and is a subeditor for Antithesis journal and the university’s queer department magazine, CAMP. Hi Ellen. Thanks for the article. I’ve been on a number of ghost tours across Australia, all of varying quality and professionalism. Some were completely shambolic, some had a clearer focus. It’s a fine line, particularly when it comes to former asylums. The only one I stayed in didn’t run a ghost tour. I think the best tours are the ones where the contracted operator and the historical site have clearly considered that fine line together. It’s pretty obvious when they have. Better yet, when the site runs it themselves, with a connection to their purpose and values. This doesn’t mean that all aspects of the delivery is problem-free, but a punter can pick up on that connection pretty quickly. The Quarantine Station (Sydney) and Port Arthur were particularly good examples of that. They had considered the place of the tour in relation to the rest of what they’re doing. Sadly, perhaps the fact these tours exist and seek to ‘capatilise’ on human curiosity with the macabre, serve as a reminder that in 2018 governments and the broader community still lack any decent understanding of mental illness. My great great great grandmother died in Aradale in 1885. I must say, though I agreed with everything written here, to know there is a tour, even one that packs in the paranormal, is quite tempting to me. Sigh. I’m disappointed in myself that, even though I feel a strong sense of responsibility to her these days after researching her tragic life, I would still be tempted by this kind of sideshow.